Losing to Edmonton was not the way the 2017-18 hockey season was supposed to kick off for Calgary. After all, they did that plenty last year dropping all four NHL games against their provincial rival. Yet so it went Friday night at the South Okanagan Events Center as the Flames allowed three unanswered goals in a span of just over two minutes early in the third period to succumb 4-2 to the Oilers in the opening game of the Young Stars Classic prospect tournament. "I thought it was a fast game, the first period felt like it wasn't even 20 minutes. 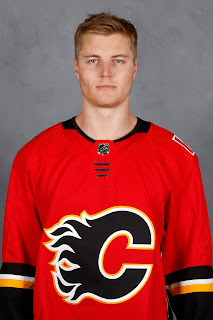 It was a lot of back and forth play and I thought there was some good pace to the first period," said Calgary coach Ryan Huska. "We got into trouble when there was about a three-minute section where they scored their goals and they were able to pull away," said Huska, who during the regular season will patrol the bench for the AHL's Stockton Heat. "We had some urgency in the end trying to get a 6-on-5 goal to get us closer but we just weren't able to get it done." By this point, Columbia House -- and I mean the cassette tape vintage -- may have more active members than the Mark Jankowski Skeptics Club. Centring the top line with Andrew Mangiapane and Spencer Foo, that trio had a solid night, especially in the first and third periods, spending most of their time in the offensive zone. "It was great. They're both two really good players," Jankowski said. "I got to play with Mange a lot last year, so I was a little familiar and Foo, he's a great player and it was really easy to play with him too. I've been skating with him for about a month this summer. As the game wore on, we got a little bit better and we started to generate more chances, which is good." Jankowski, whose Ford F-150-like chassis is up to a menacing 6-foot-5 and 210 pounds, showed that he has become a real load to handle for opposing defenceman. "He had stretches where I thought he was really good," said Huska, when asked about his No. 1 centre. "He made some good plays in the middle of the ice. He really can move the puck well in traffic and we saw a little bit of that tonight." Jankowski is a big man with some soft hands who can score and those are three tangible qualities that should propel him to regular NHL employment in the not-too-distant future. On a first period power play, it was a slick little curl move to dip around a defenceman and walk in and whistle a shot off the post. In the second period, the slot opened up allowing him to move in and rip a shot into the top corner on goaltender Dylan Wells. Meanwhile, using a stick that has its length measured in miles, not feet, he's awfully tough to get the puck from and if he doesn't have it, keep it away from. Multiple times, it looked like the play was heading back up ice only for Jankowski to stab out that long twig and reel in the puck for an offensive zone turnover. Reading between the lines, it sounds like that trio might be kept together. 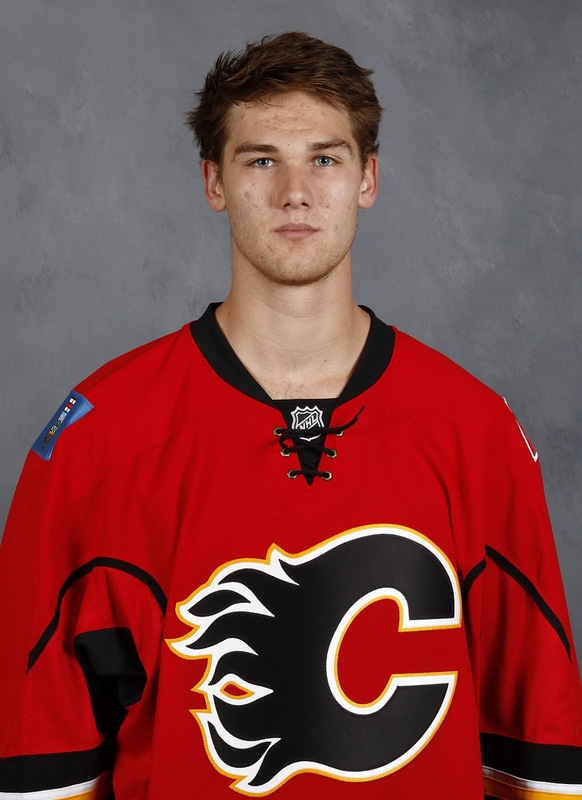 "The more that (Jankowski) is on the ice with Andrew and Spencer, you'll see a little bit more from them," Huska said. "In the first period, I thought they were a really good line, by far the best line in my opinion that was on the ice. It stalled a little bit as the game went on but the more that those guys play together here, the better you're going to see all three of them play." To be honest, I was expecting more. Foo and Josh Healey, two off-season free agent signings from Union College and Ohio State University respectively, were OK in their debut. But it was just not as impactful of a night for the two 23-year-olds as I thought they might turn in while playing against their hometown team. 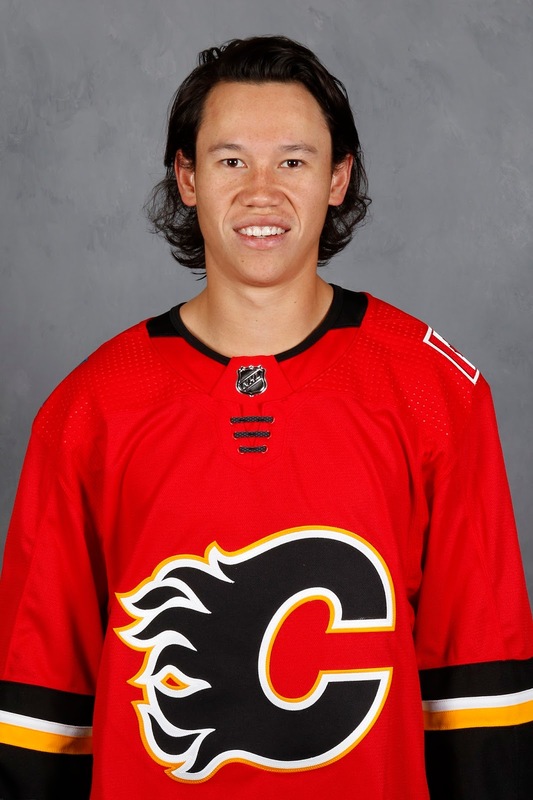 Foo did have himself a nice end-to-end rush in the third period and as the coach acknowledged, his line was really good in the first period in particular, but there wasn't as much 'wow' as I thought I might see. Josh Healey delivered a bunch of hits, a couple of them board-rattlers as is his reputation, but at the same time, he had several rough patches. 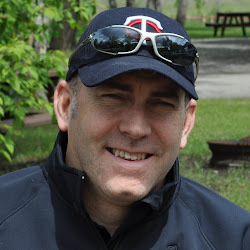 "It was good to get back into things, it's not summer hockey any more," said Healey. "There's still things that I have to improve on. I thought I had a few good plays, but I also got caught a few times, so I've got to tighten that up." Forgettable moments included being in the penalty box when the Oilers scored their first goal. He had a couple giveaways in the first half of the game. In another sequence, he got caught flat-footed as tiny first rounder Kailer Yamamoto banked the puck off the boards and raced down the ice on a dangerous chance. He also didn't like the Oilers fourth goal, accepting his share of the blame. "That last goal, I just didn't have a tight enough gap and I don't know if it tipped off my stick or what not, but a goal got by and obviously that doesn't help us win," he said. The good news is in addition to the reality that it's just the first game and there is a lot of rust on everyone, is that Healey did not end up hurt after being cross-checked into the boards in the second period by Austin Glover. "I'm alright. Probably looked worse than it felt. I went in kind of funny but I was fine. It was good to see a couple boys stick up for me there." Another rough-and-tumble lad from northern Alberta, Lloydminster's Zach Fischer, was one of the guys first in. The 2017 fifth rounder got in a few licks before capping it off with some choice words verbally as he was led to the penalty box. Score one for team-building. Paired with Rasmus Andersson and perhaps giving Flames fans a little sneak preview of a top-four pairing of the future, Valimaki looked steady in the first round pick's debut in a Flames uniform. Included in his solid performance was scoring the opening goal when he took a cross-ice feed from Fischer and neatly snapped a shot inside the goal post. "In my opinion, he was our best player on the ice tonight," said Huska. "He was one of the guys when you step back or you're standing on the bench, watching guys play, he was noticeable almost every shift." If you watched the game, you know Valimaki wore No. 42 and in a good way. "We talked about that this morning, that's the way you have to play here," said Huska. "You have to make sure people will recognize your name and number on your back so you have to do something all the time and I thought he played really well in a lot of different areas." 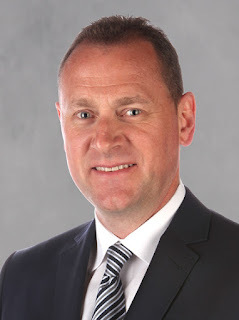 The message from GM Brad Treliving, delivered on Thursday as the players went through fitness testing, was clear -- stand out at this tournament, don't blend in. On an evening where not enough did the former, one of the guys that did catch my eye was Glenn Gawdin. 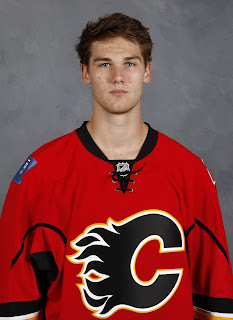 A St. Louis fourth round pick in 2015, who did not sign with the Blues, Gawdin is at Flames rookie camp on a tryout. This is the organization's second look at him as he was also at WinSport in July for development camp. "He was good. He was one of the guys that I felt was noticed most shifts," said Huska. "He did a good job and I thought his line with Fischer and (Mark) Rassell gave us good shifts as well." The 6-foot-1 center has played four years for Swift Current. He has captained the Broncos the last two seasons. Like a football middle linebacker lining up an unsuspecting wide receiver in his cross hairs, he delivered a heavy open-ice hit on Trey Fix-Wolansky in the first period. Later, it was his pass to Fischer after smartly gaining the zone that ultimately led to the Valimaki goal. He just seemed to be around the puck a lot. 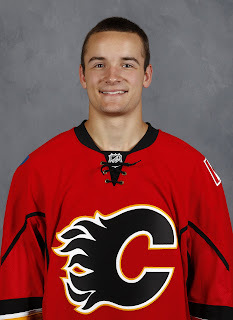 With farmhands Mike Angelidis and Linden Vey having moved on from the organization -- one now in Austria, the latter in the KHL -- Stockton could be looking for some help up the middle and Gawdin might just be a candidate. "He had a big hit early on in open ice. 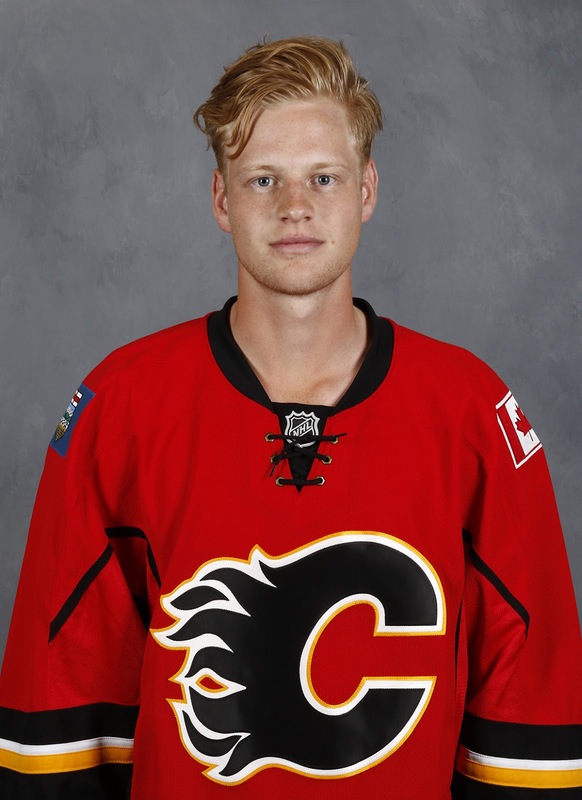 He was competitive and I thought he skated well," said Huska. For two periods, Parsons was excellent. He looked dialed in with those Jonathan Quick-like quick reflexes -- pushing post-to-post to get his paddle on a shot off the wing, going side-to-side again and stabbing out a pad to deny another dangerous chance. Scrunched down, looking through traffic in front, he appeared to be tracking the puck well. Flashing the leather a couple times, it looked for a while like he was not going to let any pucks by. But then bam-bam-bam, three in a row got by him in a span of 2:05 early in the third, beginning with a breakaway goal by the ever-dangerous Chad Butcher. It was the second of the night for Fischer's Medicine Hat linemate from last year, who ended up with three points. "The first goal, it was off the back wall, kind of a weird bounce. The other three, the breakaway -- I should have had, then two tips. You have to make that save at that point in the game, but it's just the first game here. We have two more this weekend." For what this tournament is and considering how highly thought-of Parsons is, it's not a performance that is going to change anyone's opinion. Even Parsons, a fiery competitor, realizes the significance in the grand picture. "First game all summer, it felt a little scrambly there, but I felt good in the net. Without those tips, it would have been a totally different game, but that's the game of hockey. Nothing you can do about that. As bad as we wanted to beat Edmonton, there will be lots more chances." One of the more curious player deployments of the night was left-winger Brett Pollock with the plum assignment of skating on the second line with the speedy and talented Dillon Dube and Matthew Phillips. To date in his Flames tenure, Pollock has been about as noticeable as the spotted owl. While only the latter is officially endangered, the other might be soon if he doesn't start making an impression. Spending a season in the ECHL as a goalie is fine as teams will often place prospects there to get them starts. But when you're a forward, it carries a stigma. It's imperative that Pollock earn himself a promotion to the AHL for his second pro season. Despite being thrown together as a line with just one practice, he was satisfied with how it went for the trio on Friday. "Philly and Dubes are both good players. We have a pretty deep team. When you're going out there with guys, where everyone is in the right spot, everyone can make plays, you just trust your teammates that they're going to be there for you." 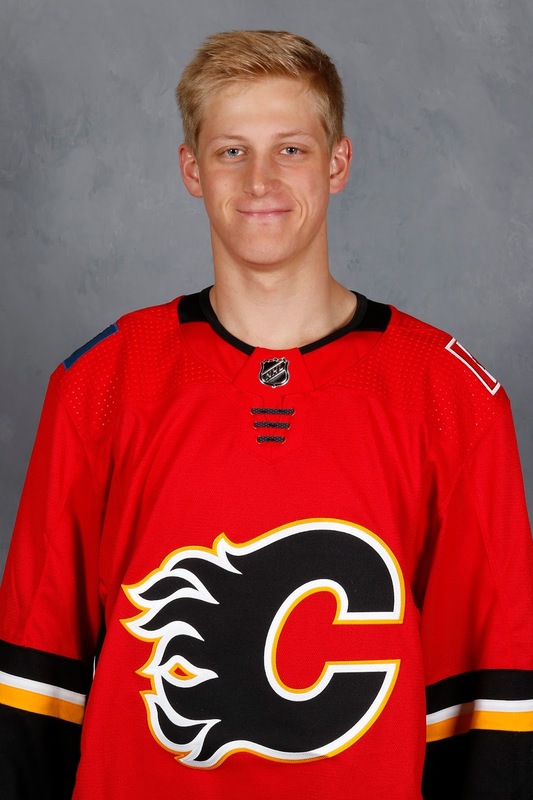 Acquired from Dallas a couple years back in the Kris Russell trade, the Stars' 2014 second rounder had a couple good looks on net and was involved in the play a lot. "Obviously you want to be able to bury some of those. He made a nice save on me in the first. I had a couple other chances where maybe I could have beared down a little more or shot for some different spots, but that's hockey," said Pollock. Pollock realizes what he needs to do to make sure he plays for Huska not only this weekend, but next season too. 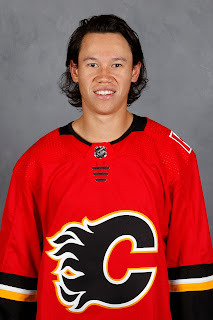 "Come in and compete every night," said the native of Sherwood Park, Alberta. "If I'm winning puck battles and using my size and skill, that takes over. If I can come in, night and night out and play the full 60, just work my hardest and have the puck and make plays, then I should be good." Good was also the word Huska chose in describing Pollock's game. "I thought this was one of the better games that I've seen Brett play," said the coach. "He tried to be physical at times and that's something that for a big man, he's not ever going to be a guy that will run someone through the wall, but he has to use his size to his advantage and I saw that from him tonight." Pollock is listed at 6-foot-3 and 200 pounds. Last year in his first pro season, he scored 15 goals and had 31 points for Adirondack. "I saw him try to make some plays on our power play and five-on-five and he had a couple scoring chances as well. All in all, I thought he had a good night," said Huska. Other than Gadwin none of the other tryout players were even worth writing about. The only other comment I would add was how bad Smith looked. If that ship hasn't sailed, then it's awfully close to heading off to see. Anchors up.